Design and technology can play a major role when seeking better solutions for the integration of grid infrastructure in the surrounding landscape. However, this requires big engineering efforts and often entails higher costs. Some TSOs, including Terna, have experimented with these new design options: how did they choose and implement the new pylons? How can stakeholders be engaged in such a decision-making process? 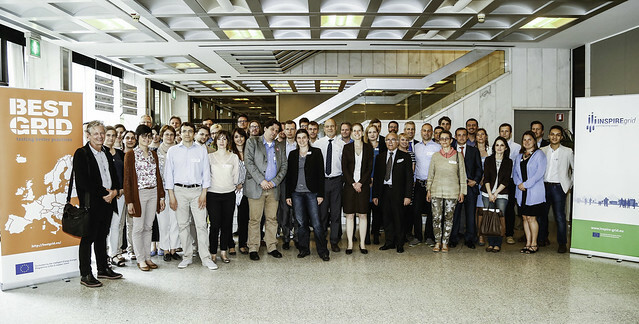 The consortia of the two EU-funded projects INSPIRE-Grid and BESTGRID invited to the workshop Grid Aesthetics - How to engage stakeholders in landscape planning, design and aesthetics of grid infrastructure on 19 - 20 May 2015 in Milan. What do we mean by landscape and how do we perceive our surroundings? Can design and architecture influence the public’s acceptability of electricity grids? How can we improve landscape planning? How can stakeholders be engaged in the decision-making process regarding design and technology? Find a summary of the workshop here. 11:45 How can design change the way we plan electricity grids?